There is support out there but sometimes you just don’t know where. Hopefully these links may help. Some are local with contact detail specific to the St Helens area, whereas other are national. The local offer details all the support and courses offered in our local area. By law, every local authority has to publish information about what services are available in their local area for parents, children and young people aged 0-25 with special educational needs and disabilities (SEND). This includes information about education, childcare, leisure activities etc. Carer’s Allowance (CA) is paid to a carer who looks after an ADHD child more than 35 hours a week and earns under a certain threshold. Conditions are: they must receive DLA at the middle or highest care rate if they are under 16 years old, and for those aged 16 to 64, they have to be in receipt of the daily living component of Personal Independence Payment. You will not be able to receive Carer’s Allowance if you are claiming the State Pension or certain other benefits. Visit: www.gov.uk/carers-allowance/eligibility You can download a claim form or to complete your application online @ www.gov.uk/carers-allowance/how-to-claim For further information, contact: Carer’s Allowance Unit. Mail Handling Site A, Wolverhampton. WV98 2AB Tel: 0345 608 4321 Email: cau.customer-services@dwp.gsi.gov.uk (Monday to Thursday, 8.30am to 5.00pm; Friday 8.30am to 4.30pm) www.gov.uk/carers-allowance/overview. Disability Living Allowance (DLA) helps with the cost of caring for an eligible ADHD child, under 16 years of age, needing extra looking after and having had these difficulties for at least three months. Just describe your child at his/her worst. Do not understate the problems and be particularly be clear about night-time issues e.g. incontinence, difficulty going to sleep, waking up all the time, tantrums, fits, lack of sleep, etc. (the highher benefit care rate for DLA is only paid for those with night time problems). It will aid you to obtain a Disability Register Identity Card for your application. Visit www.gov.uk/disability-living-allowance-children/how-to-claim or order a printed claim pack by calling the DLA Helpline: Tel: 0845 712 3456 Textphone: 0845 722 4433 (Monday to Friday, 8.00am to 6.00pm) Visit www.gov.uk/disability-living-allowance-children/overview to find out more about DLA. The Carers Centre can help you with benefit advise, Carers assessments, training courses, emotional support… check out their website or drop in to find out all the services they offer. 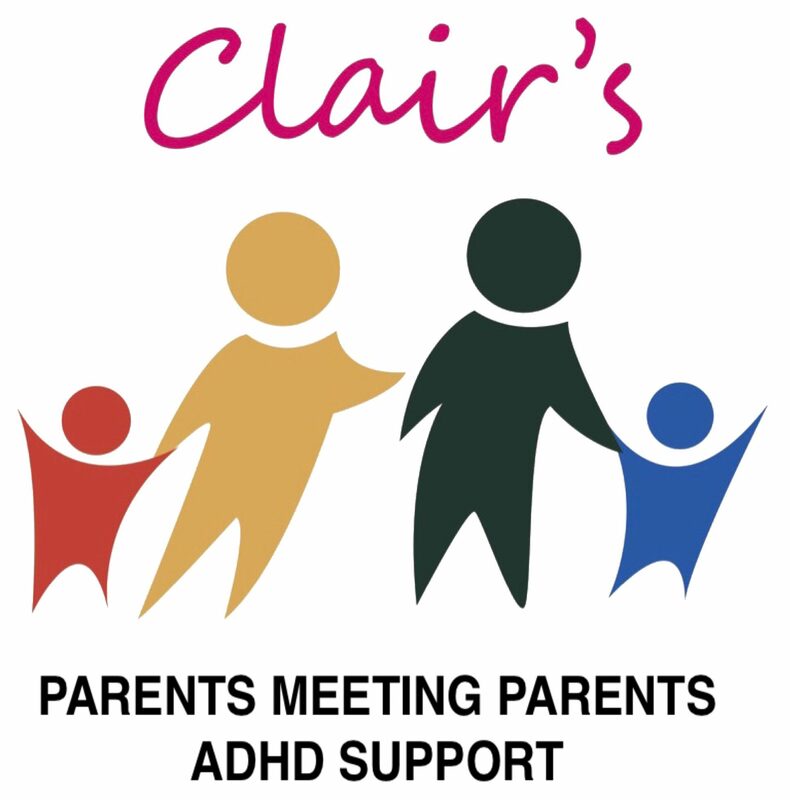 Listen4Change is the St Helens Parent Carer Forum. The Forum is very informal and meets in the daytime and evening 8 times a year. The Forum is open to all parent carers within the St. Helens area. Dr Russell A Barkley 30 Essential ideas you should know about ADHD. This is an American doctor speaking at a Parents convention. He explains ADHD and it’s difficulties in a clear and non patronising manner. This is a link to YouTube, there is about 2 hours recorded but it is definitely worth watching. Cerebra is a charity dedicated to helping families with children with brain conditions. They have lots of helpful information eg guide for finding financial help, lending library, conditions information, sleep service and advise. Family Fund: helps families who are raising a disabled (ADHD) or seriously ill child or young person aged 17 or under. IPSEA – Independent Parental Special Education Advice is a registered charity operating in England. IPSEA offers free and independent legally based information, advice and support to help get the right education for children and young people with all kinds of special educational needs and disabilities (SEND). They also provide training on the SEND legal framework to parents and carers, professionals and other organisations. Special Needs Jungle has created a huge range of resources, articles and information for parents and carers of children with special needs, disabilities and health conditions to better enable them to navigate the special needs system. IASS – St Helens Information Advice and Support Service (IASS) is a statutory service that was formally known as the Parent Partnership Service. St Helens IASS provides impartial and confidential information, advice and support to children and young people with special educational needs and disabilities (SEND) and their parents. The service covers all aspects of Education, Social Care and Health related to SEND. A child/young person does not need a formal diagnosis; we can help if you feel there is a Special Educational Need. St Helens IASS offers information, advice and support both before and after a child or young person has began the process for an Education, Health Care (EHC) Plan and to people that receive support without a Statement or EHC Plan. Age Range: Children and young people 0-25 years and their parents. Contact provide information and guidance. They have helplines and online information on issues such as medical information, education, benefits and family life, and their parent resources cover a range of topics including health and social care services. Think U Know is an education programme from the National Crime Agency’s CEOP Command. It aims to ensure that everyone has access to this practical information – children, young people, their parents and carers and the professionals who work with them. Not Fine in School has been created in reaction to the growing number of children who are struggling to attend mainstream school.